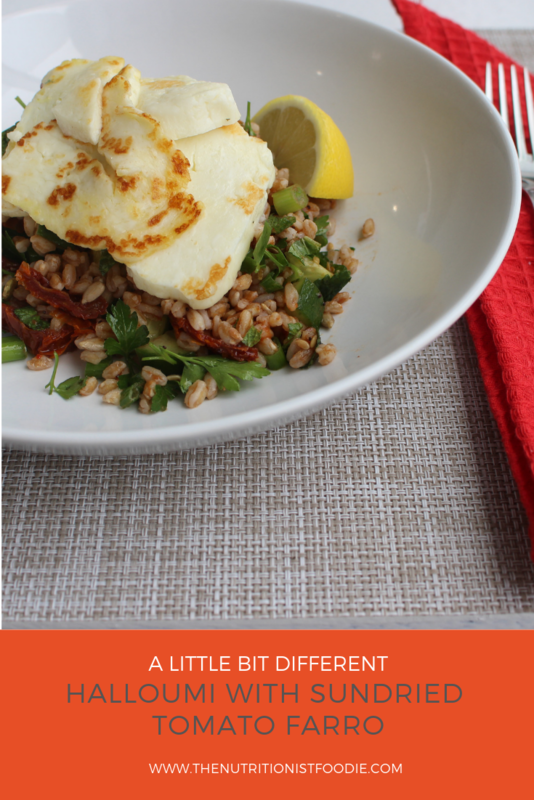 Have you tried out farro? It is a type of wheat that has a very similar texture and taste to brown rice. Farro is not gluten free Inbut is signficantly lower in gluten than other wheat grains. Once water comes to the boil, add the farro and cook according to the instructions. In the meantime prep the dressing for the farro. Mix together the zest & juice of the lemon, the tomato puree, the olive oil and the chilli flakes. Once farro is ready strain using a colander and add the cucumber, sundried tomatoes, mixed seeds and the dressing. Its that easy…if you don’t have farro don’t be afraid to try this out with a different grain or add different veggies or herbs.